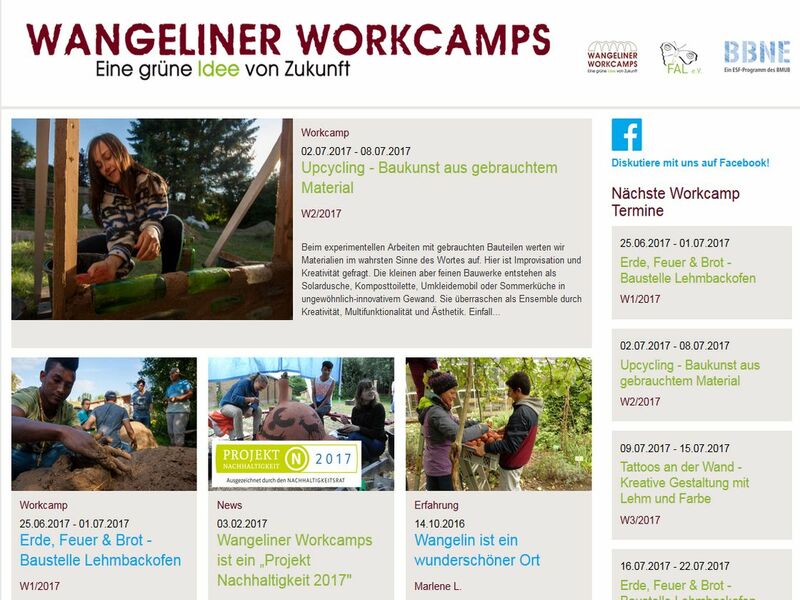 The project „Wangeliner Workcamps“ presents green jobs for the future to young people. During the school holidays of 2016-2018 young people can participate for free in the one-week work camps in the city Wangelin in Mecklenburg, Germany. Workshops are offered in seven areas: organic gardening, renewable energies, clay ovens, mudbrick buildings, straw bale construction, upcycling and ecologically-oriented architecture. The Ecologic Institute supports the public relations work of the project and is responsible for the design, development and support of the webpage, which provides detailed information on the project and the dates and content of the work camps. In addition interested people can directly apply online via the registration form.